Always known as the most advanced VLM on the market, Modula Lift is certainly the superior choice of the vertical lift modules able to store up to 132,000 lbs net all in a small footprint giving you flexibility in your operation. TGW-ERMANCO is a global supplier of advanced materials handling technologies to include carton/tote and pallet conveyors, sorters, AS/RS systems, controls and 24 hour customer support. Speedrack is one of America’s largest manufacturers of pallet racks and high density storage systems with a highly experienced staff of engineers to handle a multitude of complex projects. Speedrack was the first to develop tubular rack providing our customers with racking that has greater strength and higher resistance to damage. Nashville Wire Products is a world-class supplier of wire products that specializes in the design and fabrication of welded wire products. 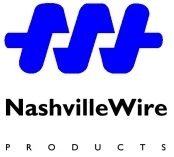 Since its inception in 1934, Nashville Wire has grown into a diverse organization serving multiple markets and thousands of customers, world wide. Whether you need a mezzanine, racking system, guardrail barrier, wire mesh partition or storage locker, Cogan gets it right. Let tbem take the stress out of your project, delivering a professionalism our many satisfied clients know to expect. Mecalux is among the leading companies in the storage systems market specializing in the design, manufacturing, sale and services of steel racking, warehouse automation, warehouse management software and other storage solutions. Metzgar Conveyors manufactures a full line of individual conveyor components and conveyor systems designed to meet individual customer requirements. They have been providing efficient solutions for a wide range of material handling needs since 1933.